Place the chicken into the electric pressure cooker insert with the hot water. Season with salt and pepper. In a small mixing bowl, whisk together the soy sauce, honey, teriyaki sauce, rice vinegar, sesame oil, minced garlic, minced onion, and ground ginger. Do NOT add the cornstarch. After cooking, shred the chicken with 2 forks. Then mix the cornstarch with the same amount of water and swirl into the sauce. 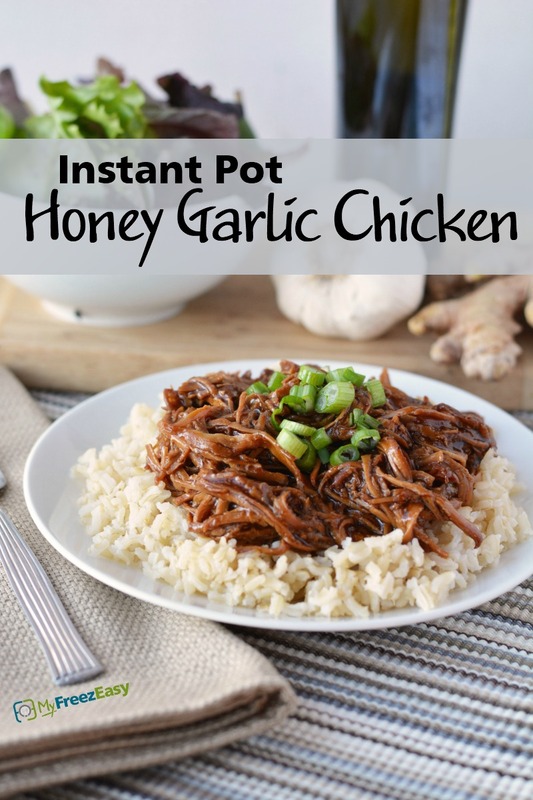 Serve Instant Pot Honey Garlic Chicken over rice with side salad. 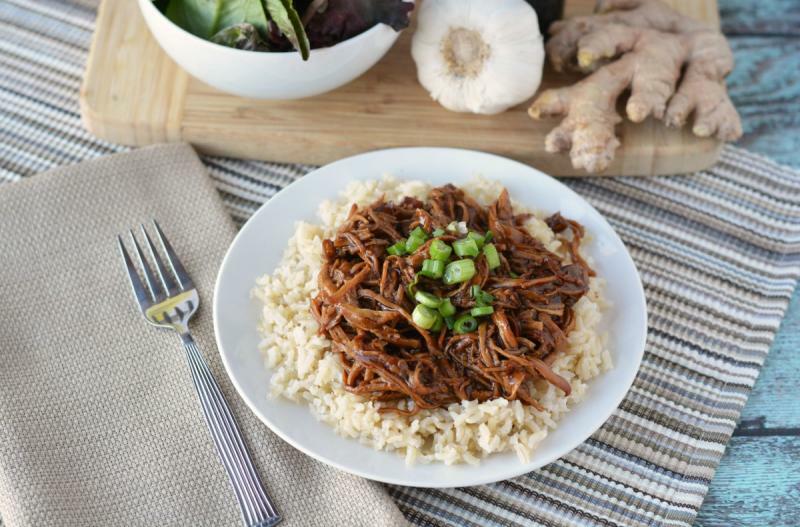 In a small mixing bowl, whisk together 1 cup soy sauce, 1 cup honey, 1/2 cup teriyaki sauce, 4 Tbsp rice vinegar, 2 tsp sesame oil, 2 tsp minced garlic, 2 tsp minced onion, and 2 tsp ground ginger. Put baggie in the freezer and freeze up to 6 months in fridge freezer or 12 months in a deep freezer. Thaw in the fridge overnight, or a warm bowl of water for about 20 minutes, before adding the contents of bag plus water to electric pressure cooker insert. Pressure cook as directed and swirl in the cornstarch at the end of pressure cooking as noted. See myfreezeasy.com/EPC for more tips and tricks. Add 5-10 minutes of pressure cooking time, if cooking from completely frozen or mostly frozen. Not that preheat time and release time may vary by appliance. Thaw, add hot water to Instant Pot and then add contents of baggie. Cook on high pressure for 15 minutes with sealed valve; then natural release. Swirl in cornstarch after cooking to thicken the sauce.